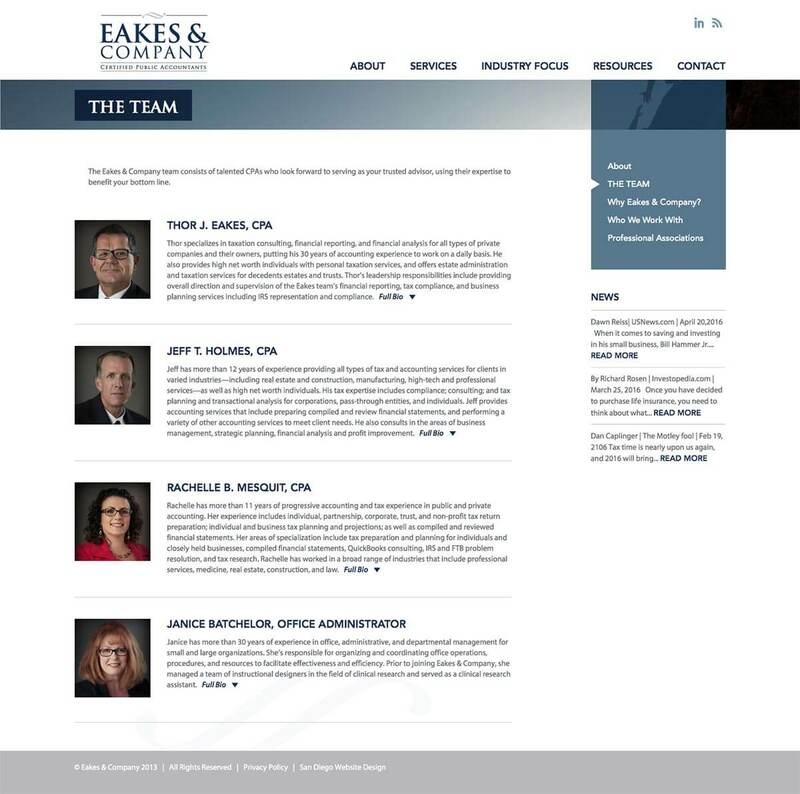 Eakes & Company was a newly formed CPA firm based in San Diego. Eakes approached Bop Design to create a credible, compelling logo design that resonated with decision makers at privately-held firms with $3M to $20M in revenue and also high net worth individuals. Bop Design created a logo design that is timeless, simple and unique that creates confidence in selecting the CPA firm as a long-term partner. 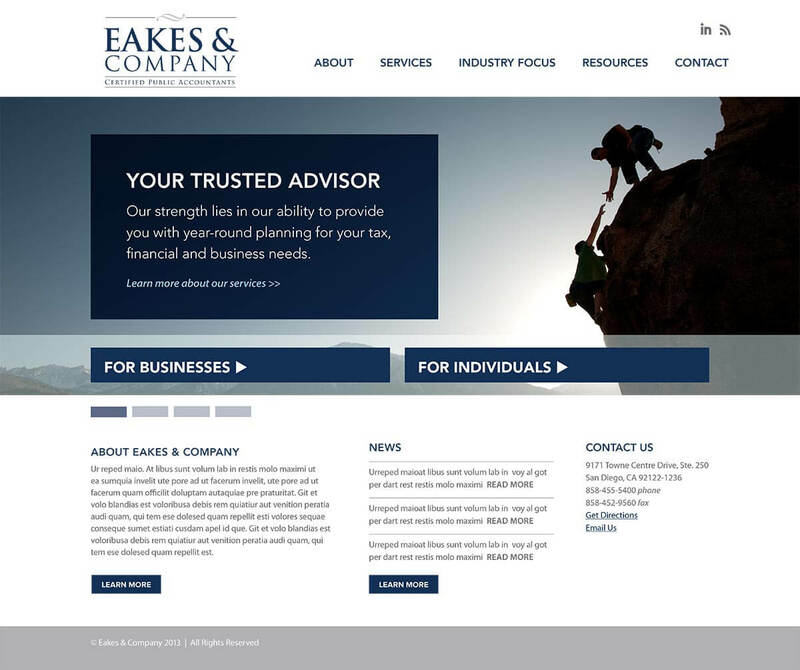 Eakes wanted the CPA firm’s new website design to serve as a resource center to prospective clients—business owners thinking of sales, succession planning, etc. The new CPA marketing and website design now acts as an effective “conversation starter” for anyone introduced to the firm. 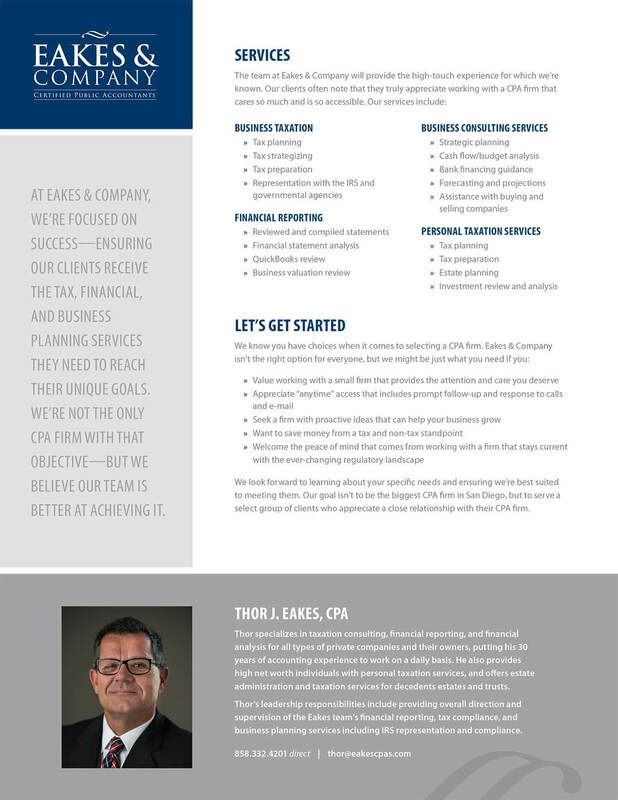 The CPA firm also needed effective print collateral that could be used as a “leave behind” to build a case of credibility. Bop Design created printed collateral, such as brochures and stationery, to foster their lead nurturing process.